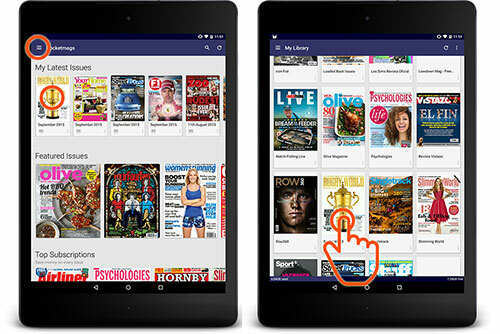 Read your digital magazines on an Amazon Android device. 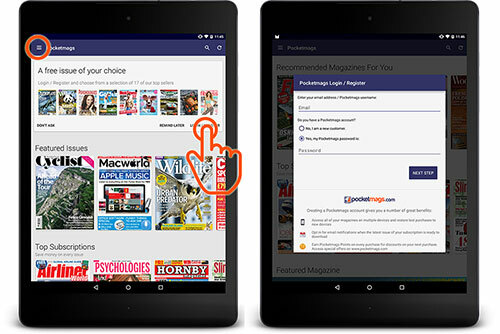 On your Android mobile or tablet select the Play Store from your device homepage. Once installed, launch the app. Tap 'Login/ Register' on the app homepage. 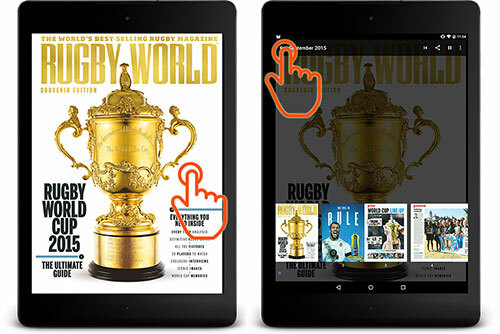 First-time users will get to choose a free issue from a selection of favourites. If you've previously logged into the app it should remember you, tap the drawer menu icon in the top left then scroll to Settings to view your logged in username. 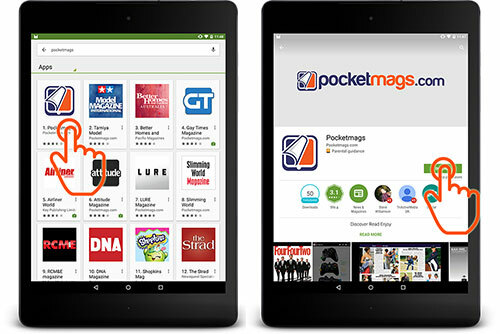 Your purchases from Pocketmags.com and any other Pocketmags-powered apps will now be synced to your device. 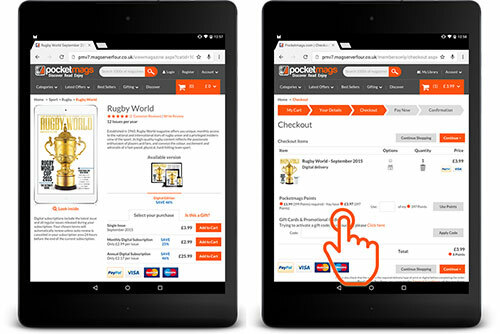 Your latest purchases will show at the top of the homepage in 'My Latest Issues'. To view your whole library click the drawer menu in the top left and select My 'Magazines'. Tap on a cover to start downloading/ reading. To exit an issue, tap once on the screen and then press the Home icon in the top left of the screen.